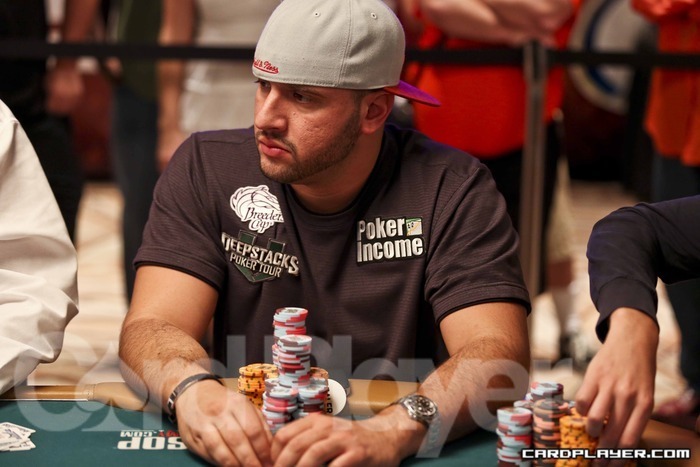 Michael Mizrachi took the chip lead heading into Level 22 and extended that lead over Chris Klodnicki after eliminating Andy Bloch in 3rd place. Mizrachi chipped away at Klodnicki’s stack until getting him down to about 550,000 before finally closing out the night. On the final hand of the tournament, Klodnicki got it all in before the flop for about 540,000 after a series of reraises. Klodnicki was ahead when the money went in, but Mizrachi flopped a straight draw and got there on the turn to win the tournament and eliminate Chris Klodnicki in 2nd place ($896,935). 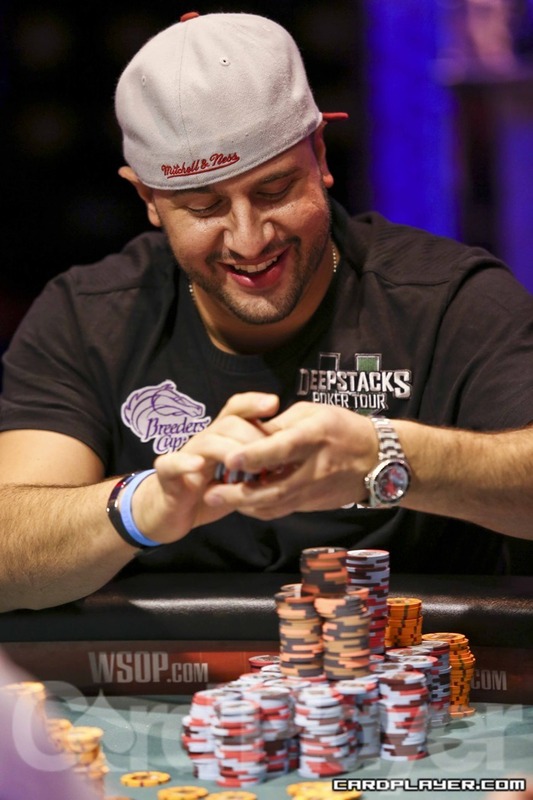 Michael Mizrachi wins Event no. 45, taking home the $1,451,527 grand prize and what is arguably the most coveted gold bracelet of the summer. Be sure to check back with Card Player for all of your final table action, current chip counts, and prize distributions for each gold bracelet event. Michael Mizrachi opened the button for 80,000, Chris Klodnicki called the small blind and Andy Bloch called the big. The flop came K Q 2 , it was checked to Mizrachi who bet 200,000, Klodnicki folded and Bloch called. The turn was the 2 , Bloch checked, Mizrachi bet 350,000 and Bloch called. The river was the 10 , Bloch bet 500,000, Mizrachi raised to 2,500,000 and Bloch called. Mizrachi flopped top set and turned a full house to win the pot and regain the chip lead with about 8.7 million, leaving Bloch on the short stack with around 1.1 million in chips. 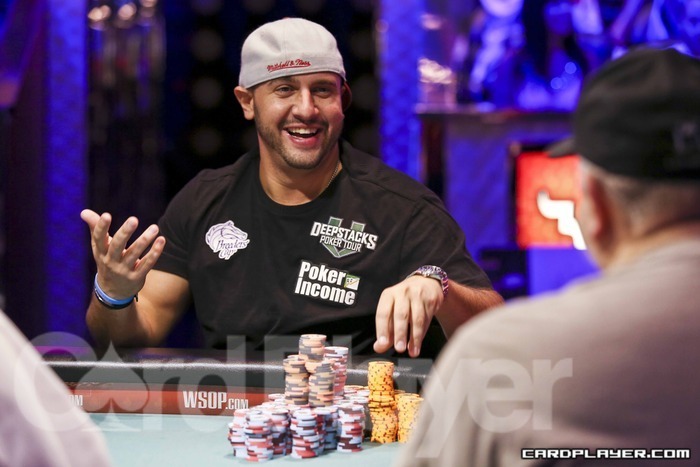 Andy Bloch raised the button to 160,000, Michael Mizrachi reraised the small blind to 240,000, Chris Klodnicki four-bet the big blind to 320,000, Bloch called all in for a total of 260,000 and Mizrachi called the raise. The flop came 7 7 3 , and both players checked the side pot. The turns was the 7 , Mizrachi checked, Klodnicki bet 160,000 and Mizrachi folded. Klodnicki raked the side pot and turned over A J for ace-high against Bloch’s Q 4 . The river was the 8 , offering no help to Andy Bloch who was eliminated in 3rd place ($561,738). With the elimination of Andy Bloch in 3rd place ($561,738), Michael Mizrachi took the chip lead going into heads-up play with 10,500,000 to Chris Klodnicki’s 5,700,000. Luke Schwartz found a much needed double up through Chris Klodnicki about halfway through the last level that put Schwartz up over 500,000, but Klodnicki got it all back shortly after when Luke Schwartz was eliminated in 4th place ($406,736). Chris Klodnicki opened the pot for a raise from the small blind, Luke Schwartz moved all in from the big blind and Klodnicki called. Schwartz was all in again before the flop against Klodnicki and once again out in front. Schwartz was leading with A 9 against Klodnicki’s A 6 . The board came K K Q 5 6 , giving Klodnicki a pair on the river to win the pot and eliminate Luke Schwartz in 4th place ($406,736). 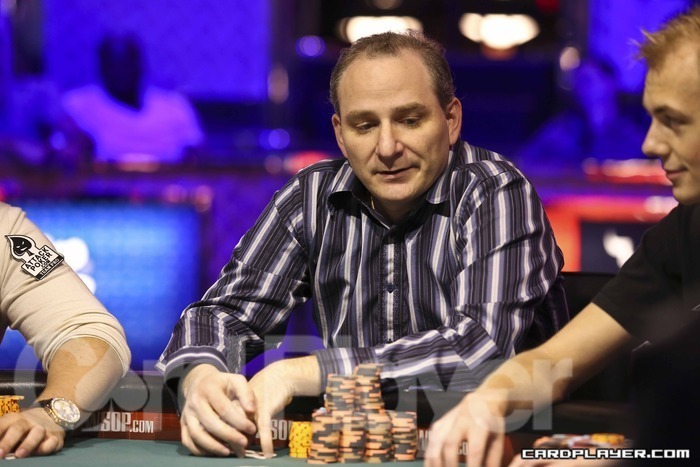 Klodnicki moved up to about 4.8 million that hand. 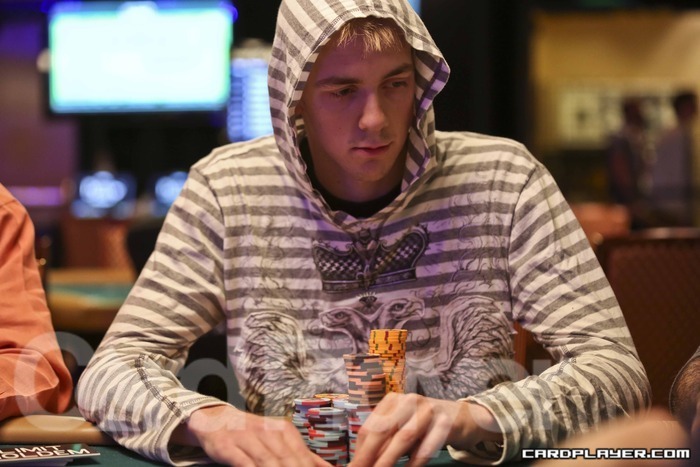 After busting Luke Schwartz in 4th place ($406,736), Chris Klodnicki then won a big pot against chipleader Michael Mizrachi with trip nines that put him up to 5.5 million. Klodnicki then won another pot against Mizrachi in the Razz portion of the level where he ended the hand with about 6 million to Mizrachi’s 6.7 million after making a perfect 2-7 low. Chris Klodnicki owned the Razz portion of the the level and it wasn’t long before Klodnicki and Mizrachi went at it again. Klodnicki officially took the chip lead from Mizrachi in a big hand that was won with an 8-7 low. Klodnicki ultimately extended his lead in another Razz hand that put Mizrachi down to second place with about 5.8 million while Klodnicki ended the level on top with just over 6.5 million in chips. 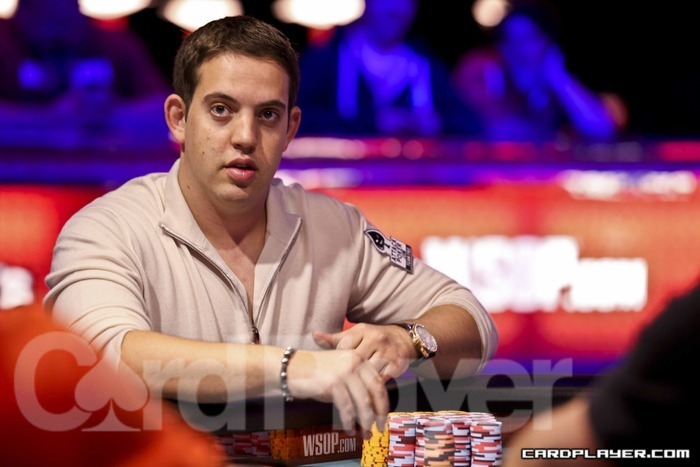 Andy Bloch opened the pot for 120,000 and Roland Israelashvili called from the big blind. The flop came 9 3 2 , Israelashvili checked, Bloch bet 60,000, Israelashvili raised all in and Bloch called. Bloch was ahead on the flop with K 2 for bottom pair against Israelashvili’s nut flush draw with A J . The turn and river were the J and the K , giving Israelashvili a flush on the turn to win the pot and double up. Israelashvili doubled up to just over 500,000 that hand while Bloch slipped down to about 3,350,000. 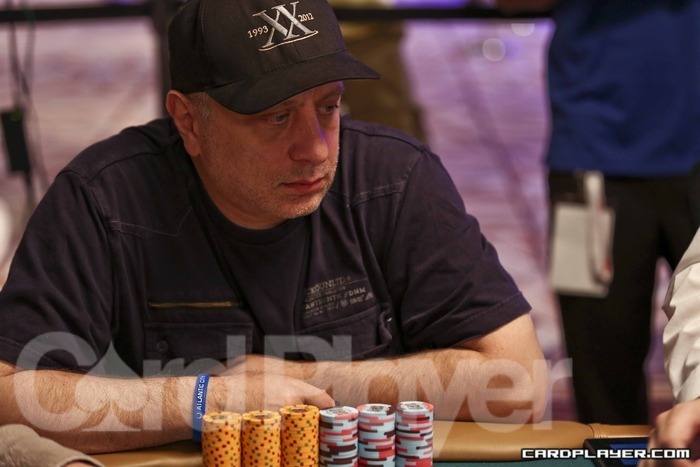 Shortly after being doubled through by Roland Israelashvili in a previous hand, Andy Bloch lost a big pot to chipleader Michael Mizrachi in the Limit Hold’em portion of the level. Mizrachi won the showdown with K 10 for a full house on a board of K 6 2 10 K in a pot that didn’t miss a bet. Mizrachi moved up to just under 8 million that hand while Bloch was left with about 3.6 million in chips. Chris Klodnicki managed to make his way up the leader board to second place over the past hour, breaking the 4-million mark after winning a big Stud 8 showdown against Michael Mizrachi. Klodnicki scooped the pot with a flush for the high hand and a seven-low, moving up to about 4.2 million that hand while Mizrachi dipped down below 7 million in chips. Roland Israelashvili open-shoved the cutoff for 110,000, Andy Bloch called from the small blind and Michael Mizrachi called the big. First Draw: Bloch and Mizrachi checked the side pot. Mizrachi drew three cards and both Bloch and Israelashvili drew two cards each. Second Draw: The side pot was checked again as Isaraelashvili drew one card while Mizrachi and Bloch drew two cards each. Third Draw: The side pot was checked a third time. Israelashvili stood pat while both of his opponents drew one card each. 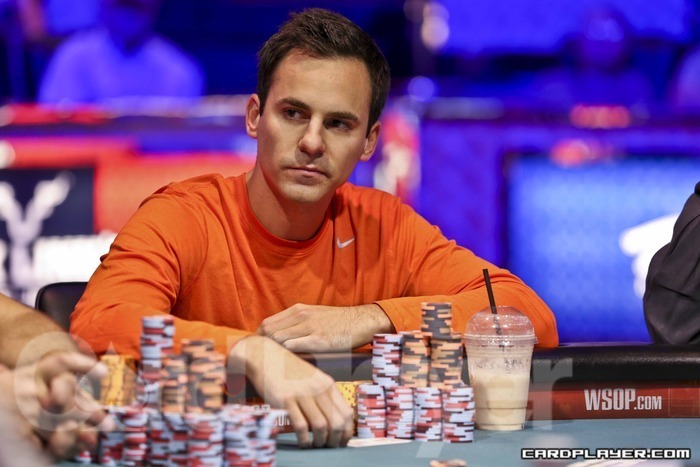 Bloch made an 8-low on the final draw to win the pot and eliminate Roland Israelashvili in 5th place ($317,882). 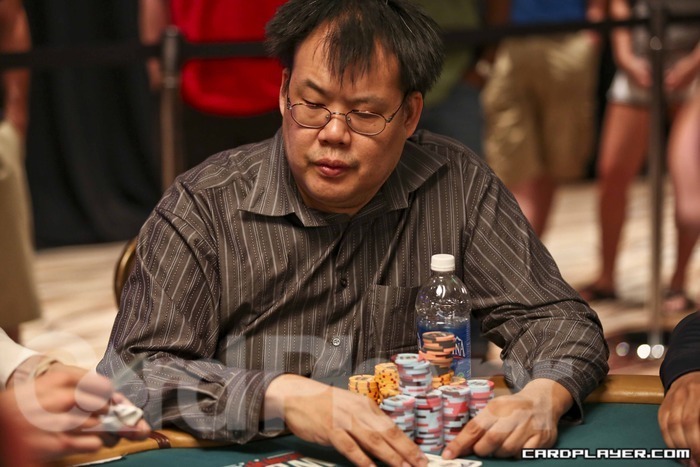 Bruno Fitoussi open-shoved for 170,000 from under the gun, Bill Chen called from middle position, Michael Mizrachi three-bet to 400,000 from the big blind, Chen moved all in for about 1.2 million and Mizrachi called. Board: K 5 5 8 4 . Mizrachi was ahead before the flop with an over pair of aces and both opponents failed to improve by the river as Mizrachi raked both the main and side pots. Bruno Fitoussi was eliminated in 8th ($169,879) and Bill Chen was eliminated in 7th place ($205,856), as Mizrachi secured the chip lead with about 5.1 million after the double knockout. Michael Mizrachi was off to a good start today and managed to really extend his chip lead over the field in just one level of play. After eliminating both Bill Chen and Bruno Fitoussi in the same hand, Mizrachi then went on to take some chips from Stephen Chidwick. Mizrachi won a big Stud showdown with trip fours that knocked Chicdwick down to about 1.6 million and put Luke Scwartz under 1 million in chips. Mizrachi then went on to quarter Chidwick in a big Omaga 8 showdown that put Mizrachi at about 5.8 million and left Chidwick with just over 1 million in chips. Stephen Chidwick opened the small blind for 72,000 and Michael Mizrachi called from the big blind. The flop came 8 8 2 , Chidwick bet 60,000 and Mizrachi called. The turn was the 3 , Chidwick moved all in for 230,000 and Mizrachi called. 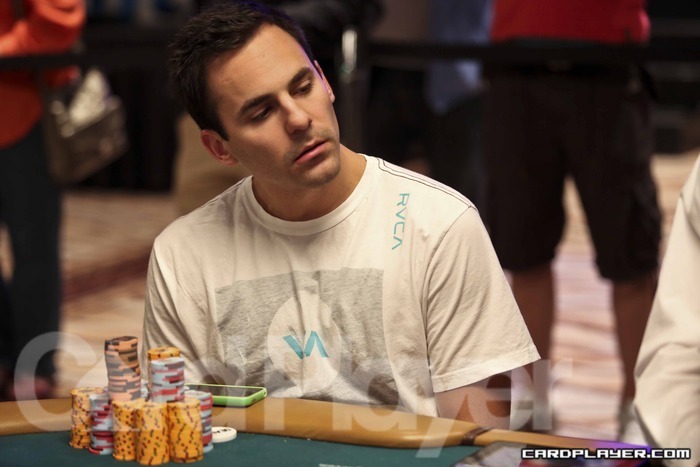 Mizrachi flopped a full house and Chidwick failed to improve with the 3 on the river. Stephen Chidwick was eliminated in 6th place ($253,497) while Mizrachi took a commanding chip lead with about 7.2 million. The final table of Event no. 45 ($50,000 The Poker Players Championship) is now underway, and Card Player will be posting level-by-level updates with all of the action, current chip counts, and prize distributions. Day 4 ended with the elimination of David Oppenheim in 9th place ($142,197), and the official 8-handed final table is now set. Play will begin in Level 20 and will continue until a winner is determined.